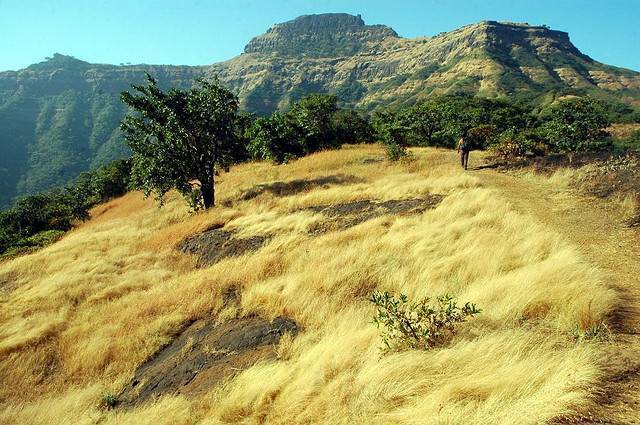 Rajgad Fort, as name indicates is a royal fort which served as capital for Maratha Kingdom for several years. Perched atop of Sahyadri Ranges at an altitude of 1318 meters above sea level, Rajgad Fort has excellent architect strategy. As per historical facts, King Shivaji constructed this fort with the help of treasures found in nearby fort. The mountain on which the fort stands is termed as “Murumbadevi Dongar”. The base of Rajgad Fort extends to 40 km making it a well-protected fort. Rajgad fort still has remnants of palaces, citadels, water reservoirs etc within it. Rajgad Fort played a vital role in Maratha Empire and was silent spectator of many historical events which took place in that time period.